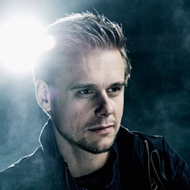 When the opportunity came for Armin van Buuren to have his own radio show, he jumped at it. In June of 2001 the Dutch native aired his very first episode of A State of Trace radio, a weekly two hour radio show that still continues today. 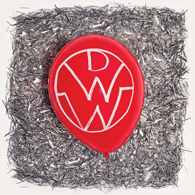 Toronto band Down With Webster continue to party with the upcoming release of their new album, P4YL. 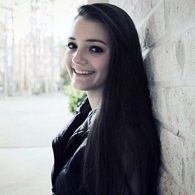 Texas singer/songwriter Shelby Lauren slated to perform on the Rewind Tour this summer. Texas country singer Payton Rae gearing up for the release of her EP Gone Girl. Thousand Miles singer cancels portions of her tour, which includes her stop in Vancouver, due to complications following surgery. 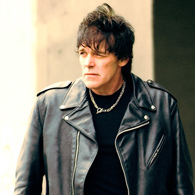 Former Ramones drummer releases his first solo album, Entitled. Hailing from Toronto, The Maladies show; as Neil Young did in '68- that our friends from The Great White North simply know how Americana is meant to be done. Ironic, yet self-evident. Jessica Speziale reflects her talent as a musician, vocalist, writer, and producer with six memorable songs known as the 2011 album ‘Dear Reverie’. While labeled pop, I found much more in this album, including rock, ballads, country, and classical sounds that made it stand out. Can someone please tell me why Avarice is unsigned? A trio out of Oakville, Ont., with so much talent and an obvious love for their metal-punk fusion of music, Troy Bell, Alex Dabic, and Chris Flynn do not fail to impress. 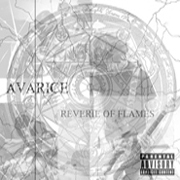 An awesome four song, 16 minute EP, “Reverie of Flames” is full of energy, addicting lyrics, and a gloriously pounding beat that makes the listener beg for more. 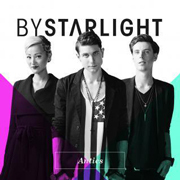 Earlier this year Vancouver based electro-pop band ByStarlight released their debut album to 604 Records, the same label as Marianas Trench, Carly Rae Jepsen, Faber Drive and Fighting For Ithaca. The trio has knocked their debut album Antics out of the park. I have to admit, I fell in love with this album at the third track. It struck me as different in the complete punk-metal genre, being able to pick up hints of quickly picked acoustic-Spanish sounding-guitar, powerful melodies, and even more powerful lyrics. The music overall is so strongly unique, intense, and fun to listen to. Rap is not really my genre, so Peyton Sanders, an 18 year old rapper from Atlanta, Georgia, has given me a lot to think about. An up-and-coming artist and entertainer who cares a lot about his fans with a famous saying of “Never Give Up, Never Give In, Never Let Go”. Former Radio Nation guest Sarah Lenore signs with Cash Money Records, the same label as Lil Wayne, Drake, Nicki Minaj and Birdman. Kieran Strange and her guitarist Adam play a near sold out show at the New Black Centre for Arts in Calgary. It was a short set, but met with great crowd response. This was the first time I’ve seen Kieran play live and I was highly impressed. I’m a stickler for stage presence and performance and Kieran easily made my cut. Feature: "Cody Simpson Saved My Life"
At the age of four she spent many nights sleeping with her mother in a truck. When her mother was sent to prison she often stayed with grandmother. After being a frequent victim of bullying, one girl finds peace in Cody Simpson's music. 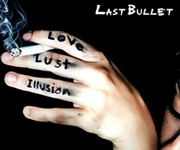 Before even listening to Last Bullet’s new album ‘Love. Lust. Illusion.’, I knew I’d be impressed. 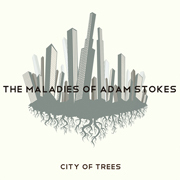 Having listened and loved their self-titled EP, I was eager to hear more from this powerful rock band. With a little more of a country twang and a lot more soul, Bryan Fontez, Brenden Armstrong, Michael Silva, Will Shannon, and Leo Defina never fail to steal the attention of any bystander who hears this album. At first glance Dallas native Ashliegh Lisset, 18, appears to be just a typical teenage girl. She attends high school, goes to football games, hangs out with her friends, spends time with her family and plans to attend college. But Lisset is no ordinary Texas teenager. She is a promising young country singer who is hard at work on her dreams of becoming a country music star. 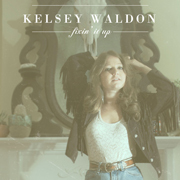 Kelsey Waldon, the incredible lyricist hailing from Paducah, Kentucky, has released her newest album "Fixin' It Up". The astounding anticipation that powered through Nashville surrounding her new LP was seemingly impossible to live up to, yet the album speaks for itself showcasing a world of previously undisplayed lyrical and instrumental talent for Waldon. If you like traditional country with a hint of a rock soul, you will love Ashliegh Lisset’s EP ‘Misunderstood’. With a wide vocal range and a strength both lyrically and vocally, Lisset lets you see the world through her eyes with six amazing tracks of pure heart. . Pop duo Alabama Capital has definitely made their mark on the Ohio music scene with their EP recorded live from UG Studios. Twins Caleb and Nathan Montgomery are from Cincinnati, Ohio and have an ever-growing fan base known as Capitalizers. Halfway To Hollywood is a unique powerpop group with a knack for background synths that help give proof to the obvious talent of the trio. 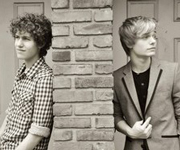 With Grant Walker’s harmonic voice on lead vocals and lead guitar, Brenden White on vocals and bass, and Roman Zugarazo on drums, Halfway To Hollywood’s EP “Speechless” consists of six songs-the pop/rock version and the acoustic version of each song. It’s not everyday that a band from the east coast of Florida gets to perform at one of the most famous venues in Southern California, but that’s exactly what is about to happen for one rock band. Discovering an album like this out of the blue is mind boggling. I always loved Alternative Rock, and this music fed my soul. 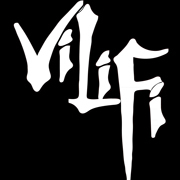 ViliFi and their album “Common Eyes” is a dream for anyone that likes bands such as Chevelle, Rise Against, Black Sabbath, and even Led Zeppelin. Although only six songs, Michala Todd has proven herself a musician with her EP, “Millions of Pieces”. 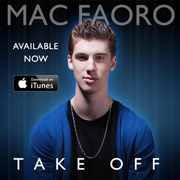 Putting a new twist on current pop with meaningful lyrics and catchy melodies. When country singer, Ashliegh Lisset was 11-years-old she received some of the hardest news any young girl could get. She learned that her father passed away in Iraq while he was serving for the United States. The Texan used music as a means of therapy and coping. 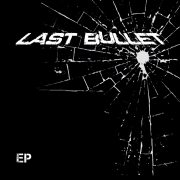 The members of Last Bullet are definitely a tight band; you can tell by how well the music flows together. Bryan Føntez has an amazing voice that defines rock n' roll, and there's no doubting in Brenden Armstrong's sensational guitar licks. Candice Chantrell's "Behind the Mic" has very strong lyrics and a strong attitude. The music has a consistent rhythm feel to it that is admirable, and even though I don't listen to much R&B I felt the CD was alright. Chantrell has a beautiful voice that flows evenly throughout. Finding an album that speaks to you is rare, unique, and amazing. The Ania Ziemirska EP "I Was the Girl" did exactly this for me. Relationships can sometimes be hard and get the heart and mind stimulated to write, and it seems that this is exactly what Ziemirska had with her music. 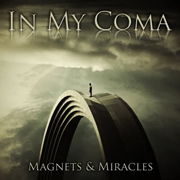 I smiled when I heard the synths begin for ‘Friendly Fire’, the first song off of In My Coma’s album, ‘Magnets and Miracles’. I began to feel this strange overcoming of the dark mood of British pop and melodic rock, and Jasper James’ lead vocals cut like a razor blade.